The entire world, buildings, streets, trees, meadows, hills and sheep, our entire planet, ourselves included, almost all of it with the exception of hydrogen, is the product of nuclear fusion. That is when two atoms of hydrogen fuse together in a star into an atom of helium and a lot of energy which we can see as light. Later two atoms of helium produce an atom of beryllium still further an atom of beryllium and an atom of helium produce an atom of carbon. And so on and so forth, there are many different fusion processes and reactions each time producing different elements and large quantities of energy - that is why stars shine. 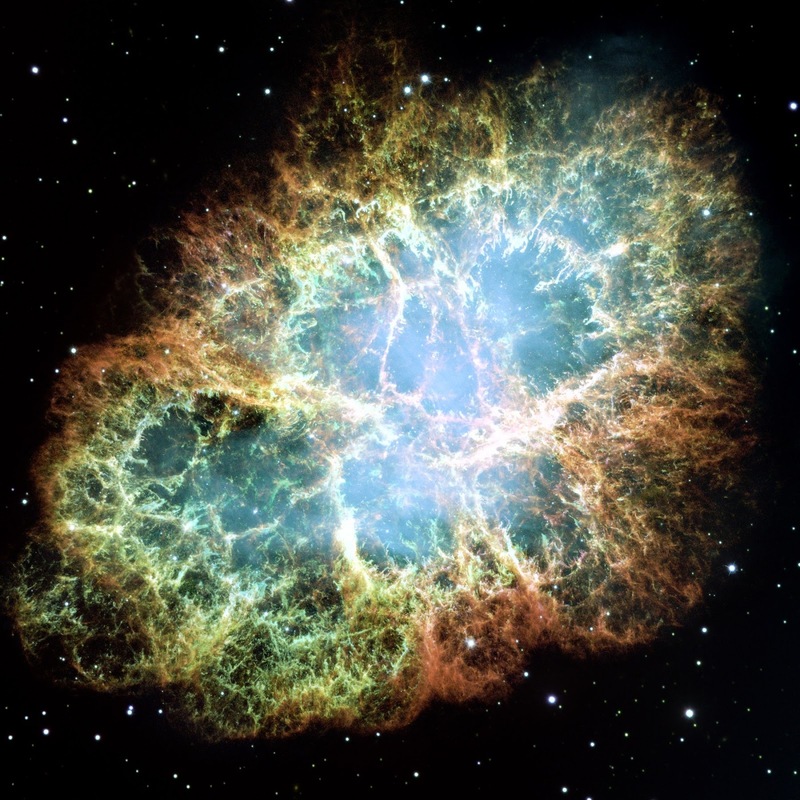 Some elements, especially those heavier (from oxygen up - and thus almost everything around us), were formed in collapsing and exploding stars called supernova. Thus almost all elements are in fact the ash from shining and often dying and exploding stars. We are indeed stardust! Come this Ash Wednesday to take this reality in and celebrate this awesome, transformative miracle of creation; ash and new life, the end encoded with fresh hope. 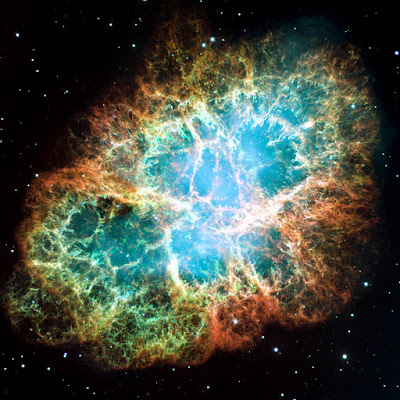 The remnants of supernova called Crab Nebula (By NASA, ESA, J. Hester and A. Loll). The cloud is now 64,660,000,000,000 miles across and expands 930 miles per second. Faith is a special divine gift which is passed on by human mediators and tradents. In that respect I owe my faith to my stubborn Central-Eeuropean Calvinist ancestors who preserved and handed it over through the dark times of contra-reformation (1620-1781). But that was centuries before I was born! More personally and more intimately I owe my faith to the African-American spirituals. I grew up in the Czech Republic under the Communist totalitarian regime. 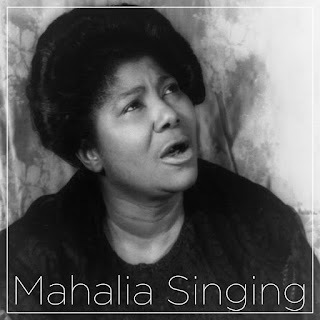 In the midst of stifling censorship, crippling political control and impotent atheistic ideology I grew up with blues and spirituals on my lips and deep in my heart: Swing low, sweet chariot... Go down, Moses... The Gospel train is coming... Go with Me to That Land... My generation of Protestants found in this Black music an authentic expression of life and faith. We might be white as white Europeans can go, but our souls resonated deeply with the black spirituals. We might sing those spirituals in Czech translations but we internalized the Exodus story (and other formative biblical stories) through the prism of struggle for elemental human dignity and civil rights. I hadn’t met a black person before I was 20, yet through music, I was brought up, to a large extent, in the spirit of black faith, its defiance, resistance and hope. Please join me this Sunday as we learn from and celebrate our black spiritual roots. 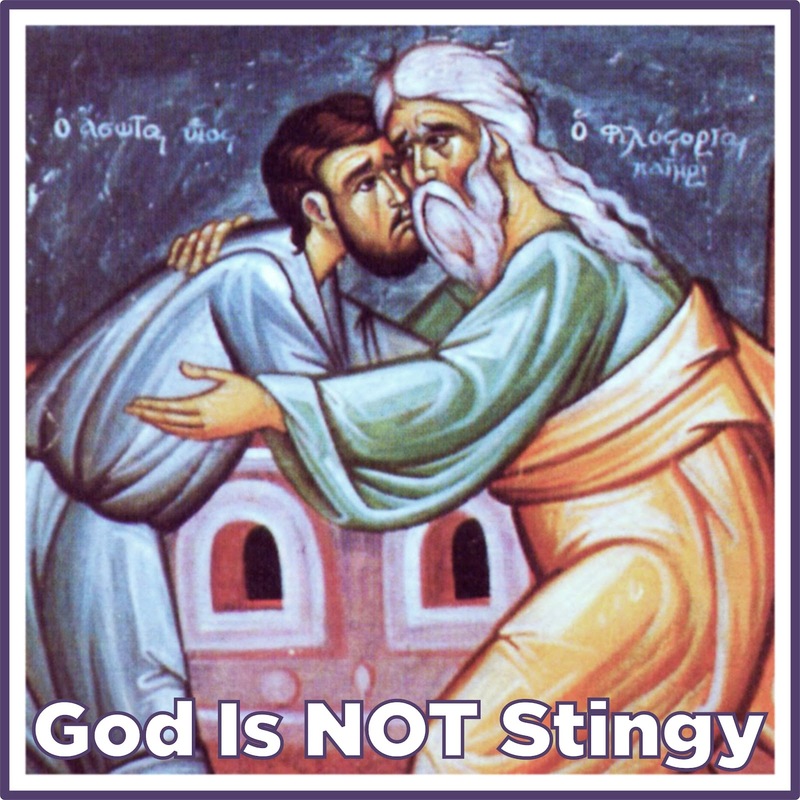 The New Testament, and more specifically the Synoptical Gospels (Mark, Matthew and Luke), often describe physical or mental illnesses as a demon possession and the acts of healing are portrayed as exorcisms, expelling those demons from the afflicted persons. I always considered this to be a peculiar example of the antiquated biblical worldview. Of course, I knew that theologians and anthropologists ascribed it to the folksy origins of early Christianity, while some speculated about distant Babylonian and even Iranian religious influences. No matter how it was explained, it remained to me a clearly dated and somehow embarrassing aspect of the foundational texts of my faith. But then, many years after I finished seminary, my beloved professor of the New Testament offered me a new perspective and rehabilitated in my eyes those biblical demons in one sentence, one question; “Aren’t those demons the ancient attempt to disassociate the ill from their illnesses?” The afflicted person behind the illness is still the same, it is the demon, which makes him or her behave differently, strangely or even dangerously. When you think about it, this epistemological separation of the persons and their afflictions actually offers helpful and more importantly a hopeful way of understanding illness. In reality it is what modern medicine does all the time while distinguishing between a patient and a virus, bacteria, trauma, foreign substances, stress or extreme circumstances. And modern medical treatment also proceeds by eliminating or at least mitigating these negative external factors (virus, bacteria, stress....) in order to help the patient. Biblical demonology and modern medicine in fact share the same underlying insight and approach. 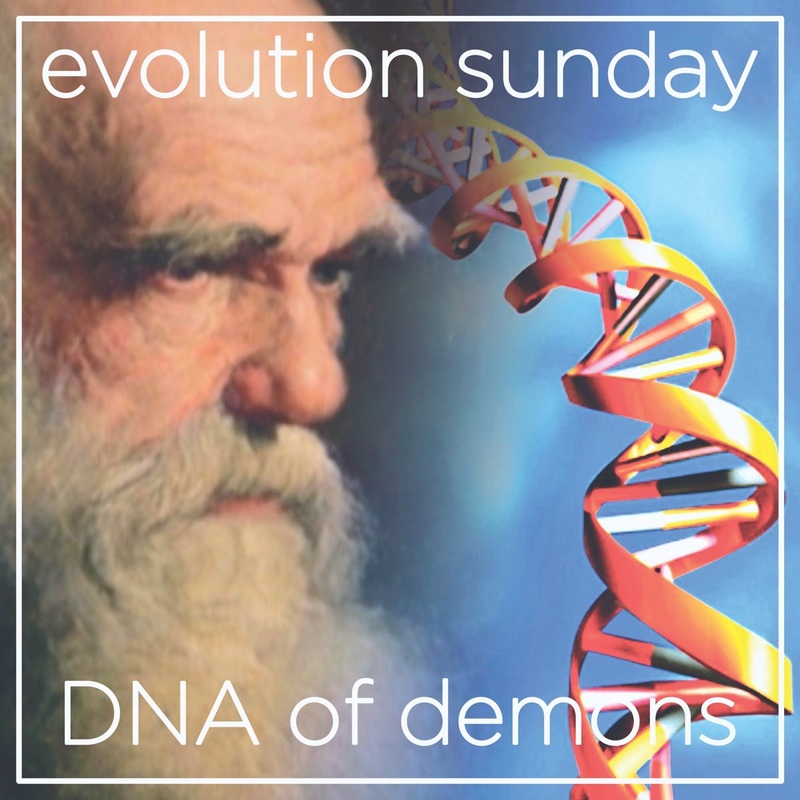 As we celebrate the birthday of Charles Darwin, come this Sunday to celebrate the healing powers of modern exorcists - doctors and geneticists. 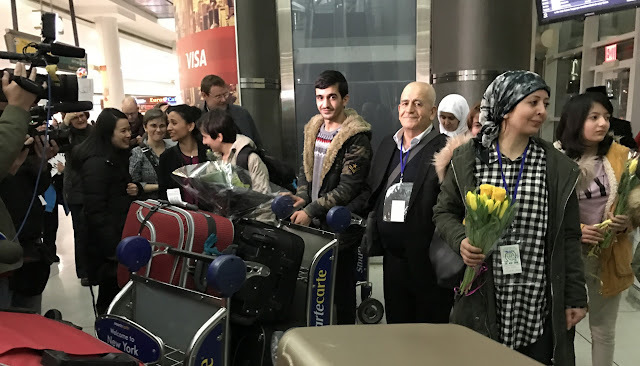 On Tuesday, February 7th, in the evening we finally welcomed the Khoja family, Syrian Kurdish refugees originally from Aleppo. It was a great joy after a seriously turbulent period and many thanks belong to all members of our Refugees Task Force (specifically Nancy Muirhead and David Mammen), our partner congregations (Church of Advent Hope, All Souls and B’nay Jeshurun). In the final stages special thanks belong to lawyers and many partner organizations (CWS, ACLU, UNHCR). The anxiety and joy of the Khoja’s arrival are nicely captured in these articles by major media listed here in the diachronic order. Our Church can be truly proud for living up our faith with determination and integrity. Now the real work of helping the Khojas to adjust to their new home starts in earnest. At the same time we will continue with even stronger determination to advocate for the welcome of refugees and against any anti-immigrant prejudices as we are obliged by the divine Law, Jesus’ Spirit of welcome and our Reformed history. Is selfishness or altruism the strongest underlying principle of the world? Years ago, while I was serving a church in Prague I dedicated one of my study leaves to reading about the evolutionary game theory. At that time it was becoming very popular among economists, political scientists, psychologists and biologists. To this time the game theory led to as many as eleven Nobel Prizes. The Evolutionary Game Theory began with biologists and ethologists being puzzled by the ritualized combat behavior - why are animals fighting over limited resources according to clear and restraining rules? As a pastor and theologian, I was even more interested in the subsequent conundrum of the origins of altruism - why are animals willing to offer sacrifices for the benefit of others? But then, evolutionary game theorists observed and described, studied and modeled what they started to call non-zero-sum games. Those are situations when individuals can choose to cooperate and in the end both can gain. Rigorous mathematical and computer modeling on large and long samples of events confirmed observations of the ethologists, psychologists and economists. In the broader scale, the world operates according to the rules of non-zero-sum games. People can still choose selfishly or altruistically, but the rules are those of non-zero-sum games. Some isolated situations might perhaps look like zero-sum games (strongly favoring selfishness), but even those, when played over and over and among same players of larger groups eventually and inevitably turn into non-zero-sum games (enabling and often encouraging cooperation and altruism). Guess, why am I writing this just now in our political and social situation? Those who live their lives according to selfish rules live sad, lonely, unloved even despised lives and eventually they are destined to lose. Come this Sunday to celebrate the world which deep down is essentially built on the altruistic rules. Come to rejoice in the world where everyone can benefit, if we choose to cooperate, come to celebrate the Creator, who has never been stingy.